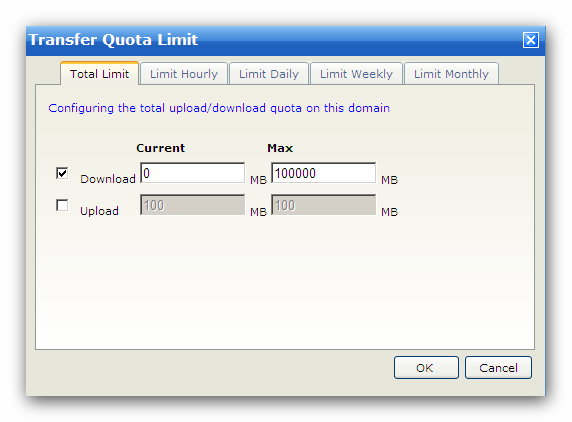 Here you can configure the transfer quota limitation for this domain. Current : actual MBytes transferred. Max : maximum MBytes that can be transferred. Total Limit: the limit will never be reset. Limit Hourly: the limit will be reset every hour. Limit Daily: the limit will be reset every day. Limit Weekly: the limit will be reset every week. Limit Monthly: the limit will be reset every month.